Steve James (Director, Hoop Dreams) returned to rural southern Illinois to reconnect with Stevie Fielding, a troubled young boy he had been an ‘Advocate Big Brother’ to ten years earlier. He began a documentary film to discover not only what had happened to Stevie over the past ten years but to understand the forces that had shaped his entire life. Part way through the filming, Stevie is arrested and charged with a serious crime that tears his family apart. 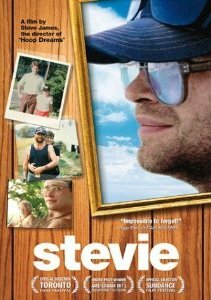 What was to be a modest profile turns into an intimate four and half year chronicle of Stevie, his broken family, the criminal justice system and the filmmaker himself, as they all struggle with what Stevie has done and who he has become.